Working with promotional products company IDzyne, I did several series of tradeshow collateral for semiconductor manufacturer Atmel. 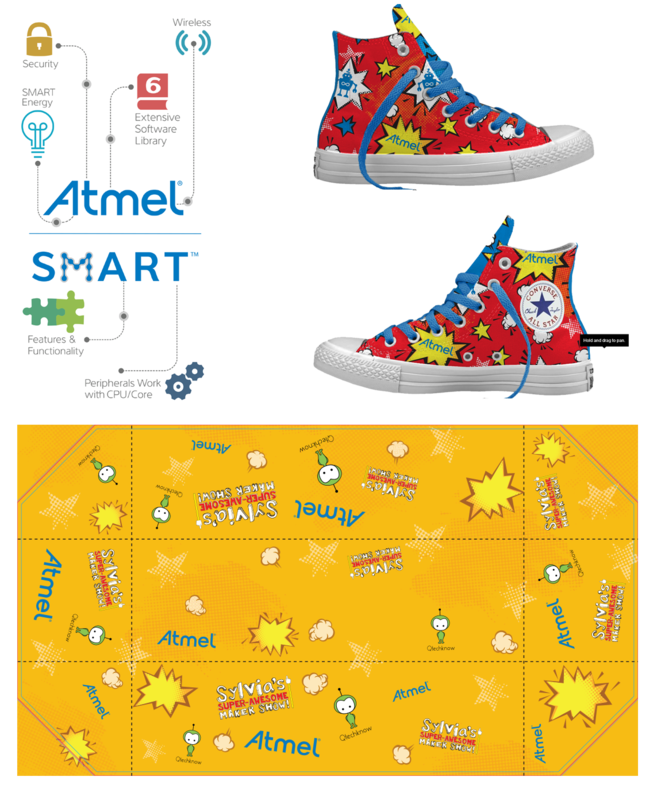 Combining Atmel key art with my own design skills, I created assets including large banners, swag bags, tablecloths and promotional clothing. I also spent a significant amount of time working on custom hand-drawn chalkboards featuring Atmel and partner-branded art for Maker Faire and other related tradeshows.